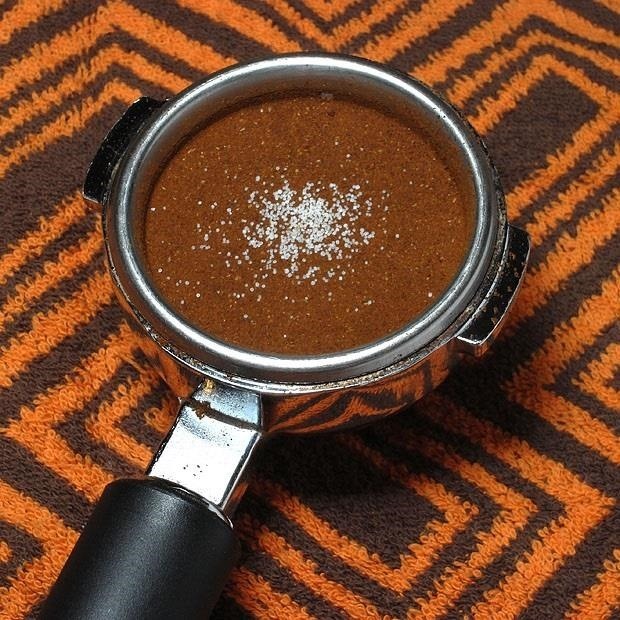 Finding the formula to the perfect cup of coffee for your taste can take a while. I finally got around to buying a French press a few weeks ago and I'm still tweaking the right ratio and brewing time to get it just right (though I am drinking it at the right times each day). Even the most dedicated coffee addict occasionally brews a cup that just doesn't taste right. Using a different kind of coffee or machine can throw things off, and there are few things more disappointing than a whole pot of coffee that's too bitter to drink. But if you don't have time to make more, there's a quick way to make it drinkable: just add a pinch of salt. If you use a too-high ratio of coffee to water, or leave it to steep for too long, a pinch of salt will counteract the bitterness. That's because sodium interferes with the transduction of bitter flavors. It's even a tradition in some parts of Northern Scandinavia, Sibir, Turkey, and Hungary. 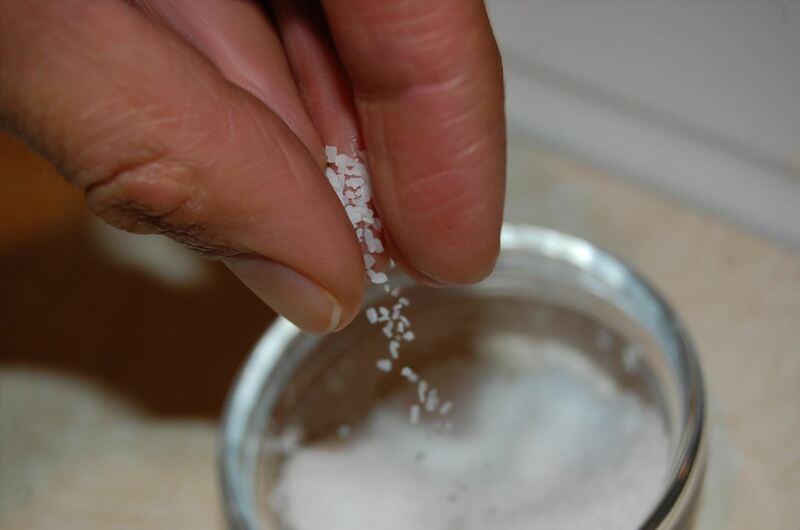 The salt won't make bad coffee taste good, but it may be enough to make it drinkable. You can add it to the finished cup if you've already messed up, or try sprinkling it on top of the ground before brewing and see how it affects the taste. Still not convinced? 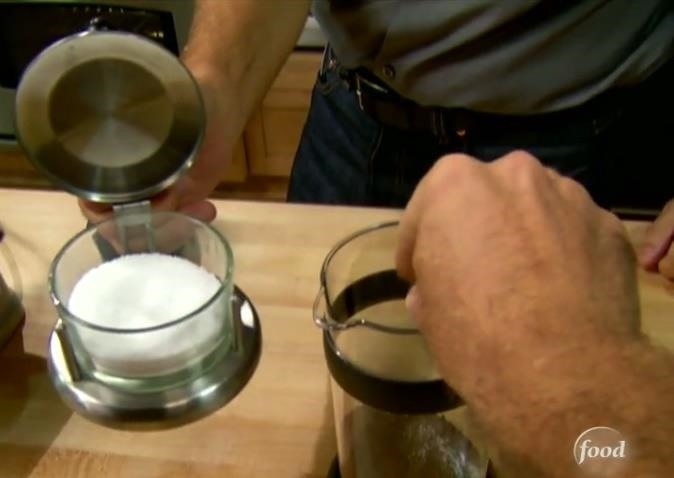 Check out food scientist Alton Brown explaining his method for making perfect coffee, which includes—you guessed it—a pinch of salt. Have you ever used salt to take the bitter edge off a cup of coffee? Or do you use another trick? Let us know in the comments below. I use a drop of lemon juice. Acidity and bitterness cancel each other out, and it has a pretty soft taste. But do not drink that in the evening or you will not sleep. Seems like I have heard that sprinkling a bit of baking soda over the grounds will take the bitterness out as well. My dad puts a couple of orange peels in the basket with the coffee grounds. I tried that but it gave the coffee an orange tase. While it wasn't bad, I just wanted regular tasting coffee. I found that if I put the peel in the pot while the coffee was brewing it only removed the bitterness without adding flavor as long as I removed the peel shortly after it was done. I faithfully tried all of your suggestions. First to the salt: Yuck. Next, the lemon juice: Ok, but the cream curdled. I may have used too much lemon juice (a teaspoon to a pot) but any less and the bitterness was still there. And let me say that I'm talking about the store bought name brand coffee that has been sitting in a warehouse and then supermarket for too long. It's happened often enough for me to need a cure for bitter coffee. I like a regular cup of medium roast columbian coffee like Maxwell House and Folgiers. What I finally found to work EVERY TIME, was so simple I figured I should share it with my fellow coffee haulics. Make the pot as usual, but don't put the ORANGE PEEL in the filter, put it in the pot. Let it sit for a few minutes then remove the peel and toss it. Smoothest coffee I've had in some time. The closest thing to fresh ground, at 2/3 the price.